Buon Anno from the Amalfi Coast! As the sun shines on this last afternoon of 2015, there’s a momentary stillness that sets in before the festivities begin, the sound of fireworks echo through the mountain valleys and the night sky over Amalfi sparkles with the most spectacular fuochi pirotecnici display at midnight. January 1st is one of my favorite days of the year, full as it is with hope, ideas and new beginnings. Yet before I dive full steam into 2016 and exciting new projects, I like to sit a moment with that stillness. From that stillness is born the magic of everything to come in the new year. 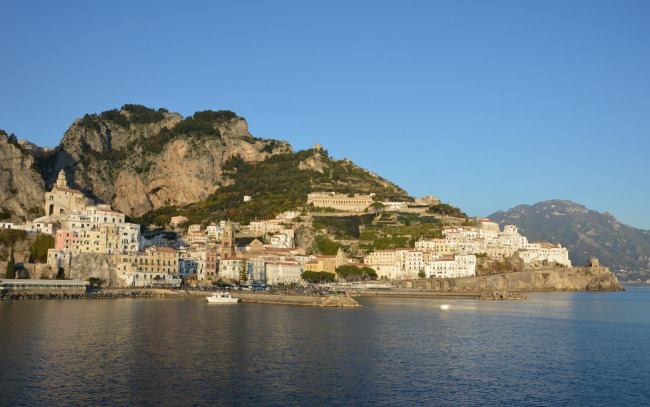 Wishing you a 2016 full of health, happiness and, of course, travels to the Amalfi Coast! 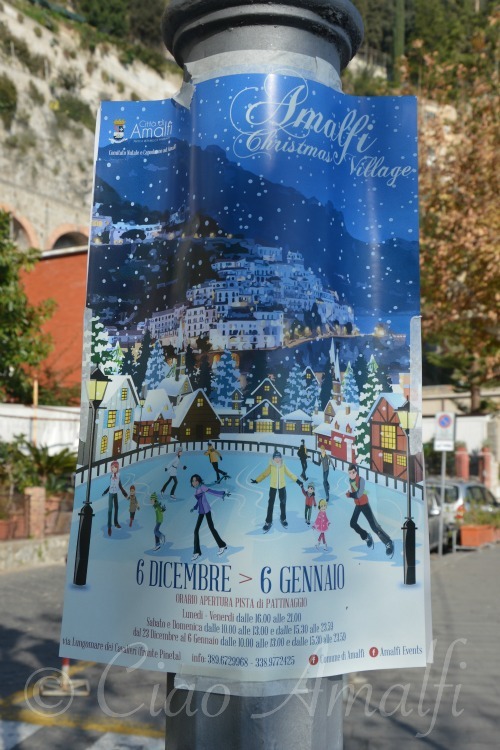 There is a fun addition to the festive atmosphere in Amalfi this year with the arrival of an ice skating rink. Yes an ice skating rink in Amalfi! The kids in town have been enjoying trying it out on these warm December days. There are even cute little bears they can push around to get used to the ice. 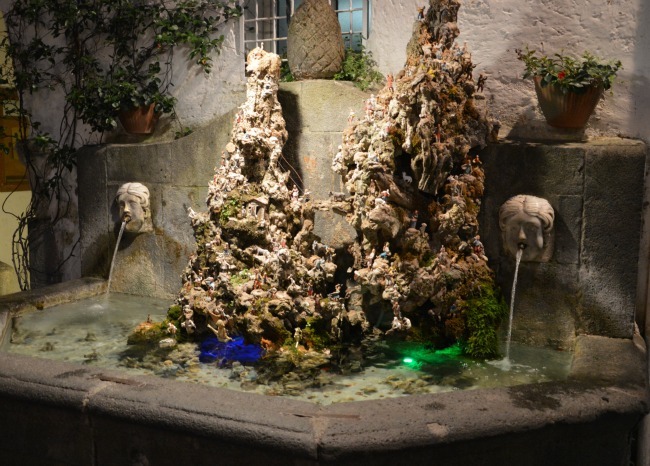 It certainly isn’t a natural experience on the Amalfi Coast! 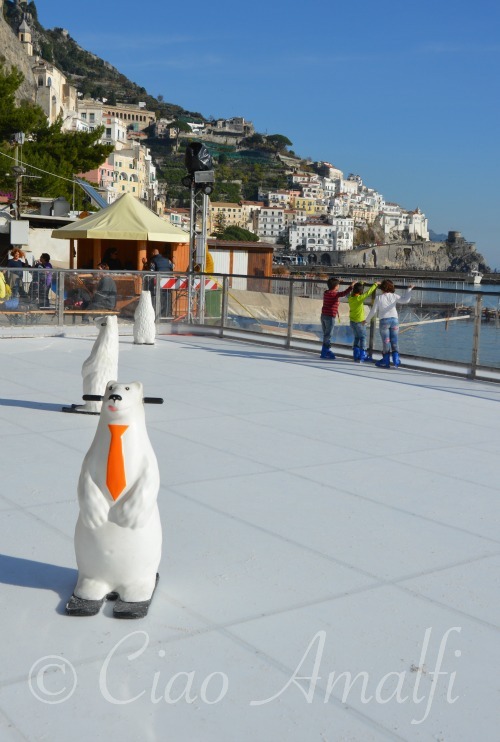 The ice rink is set up along the lungomare with beautiful views of the harbor and Amalfi. Even if you’re not one to take to the ice, you certainly can’t beat the view! 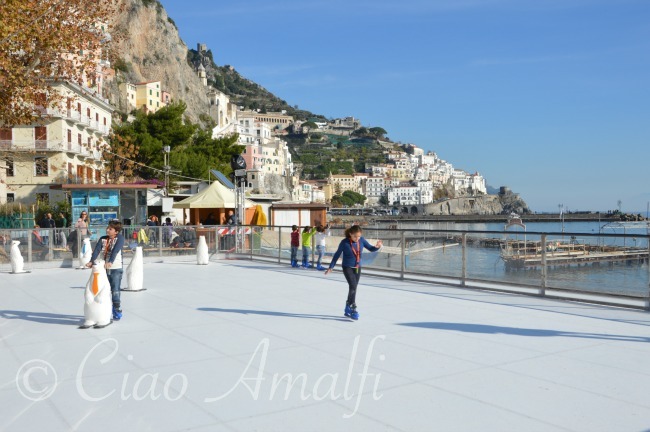 The ice rink in Amalfi is open until January 6th, 2016. 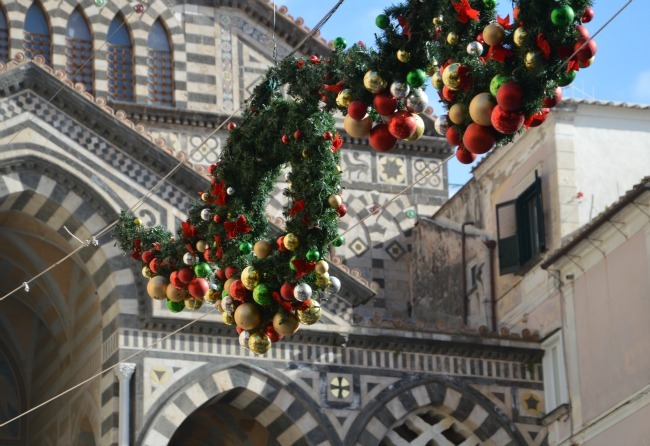 With sunshine and unseasonably warm temperatures, this has been one of the most beautiful Christmas seasons I’ve experienced so far on the Amalfi Coast. Although it has been a busy time of year, much like this entire year has been, I’ve been enjoying glimpses of the holiday season in Amalfi. I couldn’t resist sharing the colors and festive atmosphere with you on this Christmas day. 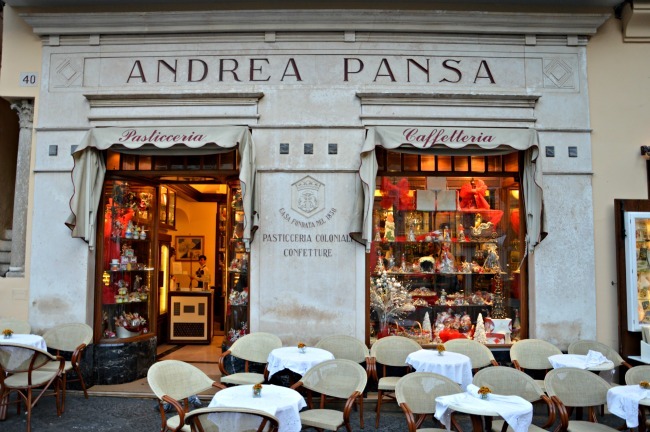 The Pasticceria Pansa in Amalfi is super busy this time of year like all the bakeries, with everyone stopping to buy Christmas desserts and sweets. 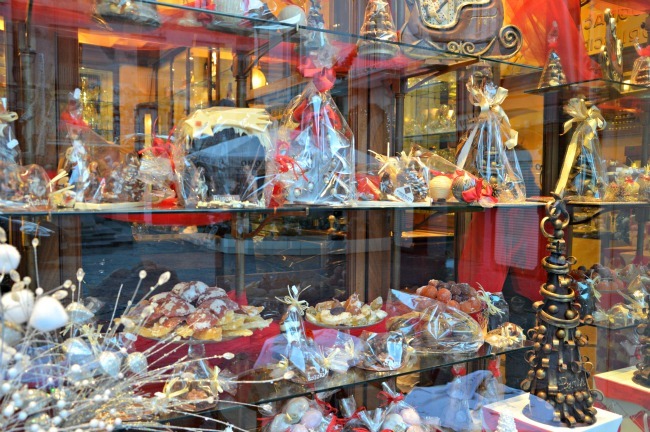 The windows are particularly beautiful this year … and full of tempting treats! 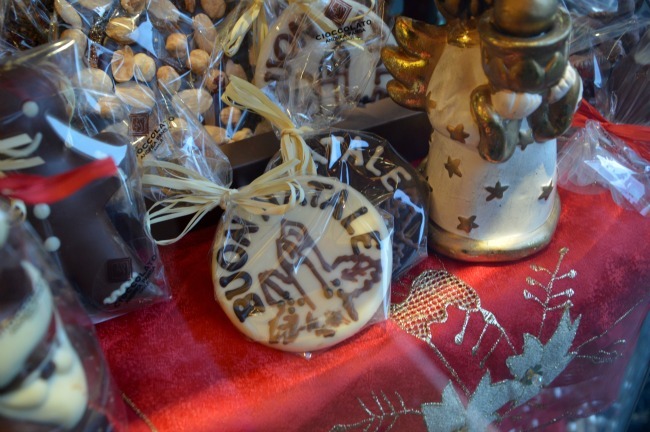 You can even get chocolate that says “Buon Natale,” which means Merry Christmas. The panettone from Pansa is out of this world delicious! 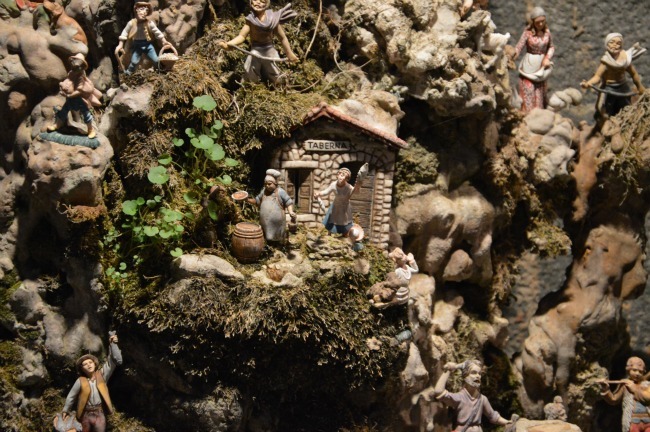 Several fountains in Amalfi are decorated for the holidays with nativity scenes, or presepe. 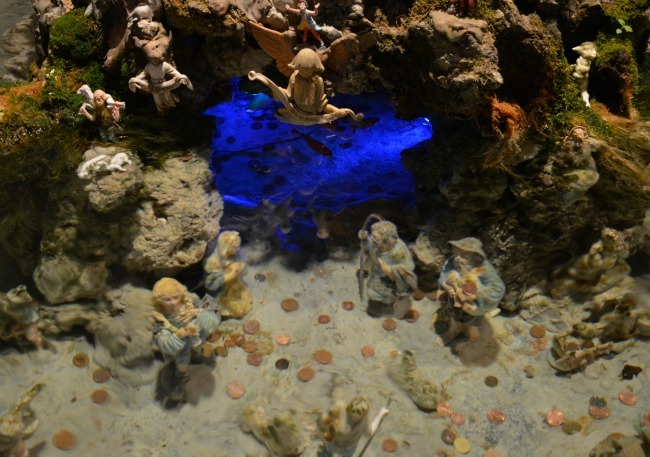 Here is one of them that has an elaborate scene above and below the water. Wishing you a very happy holiday season full of love!